A 2016 Acura NSX enters the 200kmh speedlimit at Hocheichen during ipool. 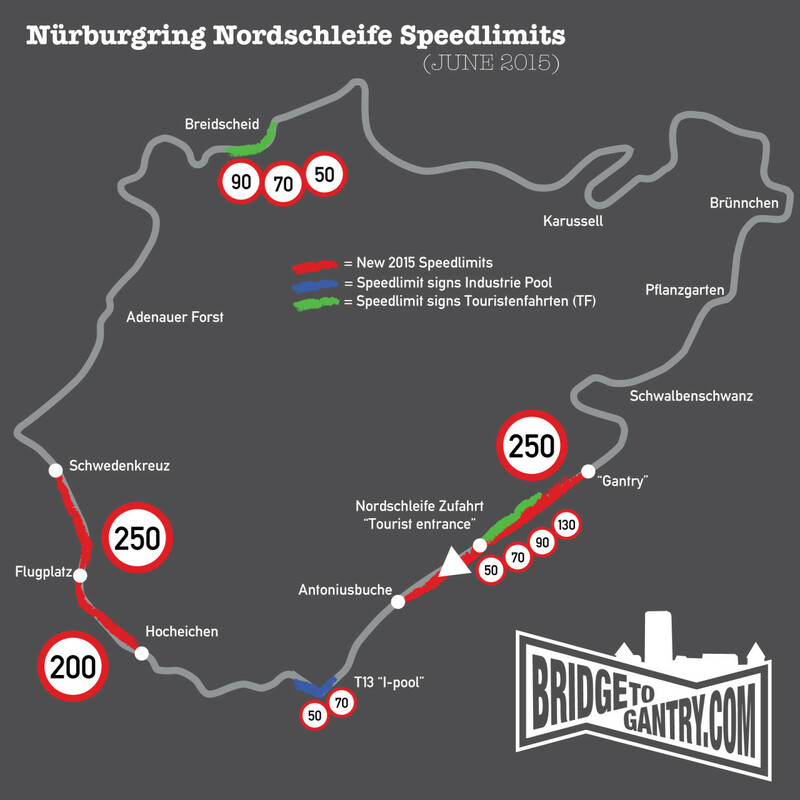 During the public hours, the Nordschleife has two entrances and exits in operation. The main one (Nordschleife Zufahrt) near Nürburg, and the second one at Breidscheid Bridge. As long as I can remember, the approaches to both exits have had a decreasing speed limit applied to them. Not only is this for safety, but it’s also just common sense. But I’ve never seen them ‘policed’ or enforced. The signs for the new 200 and 250 speedlimits, which can be folded away in seconds, have been on display consistently during public hours for the last month, though there has been no obvious attempt to enforce them either. BTG has contacted the Nürburgring for an official statement, but has yet to receive one. 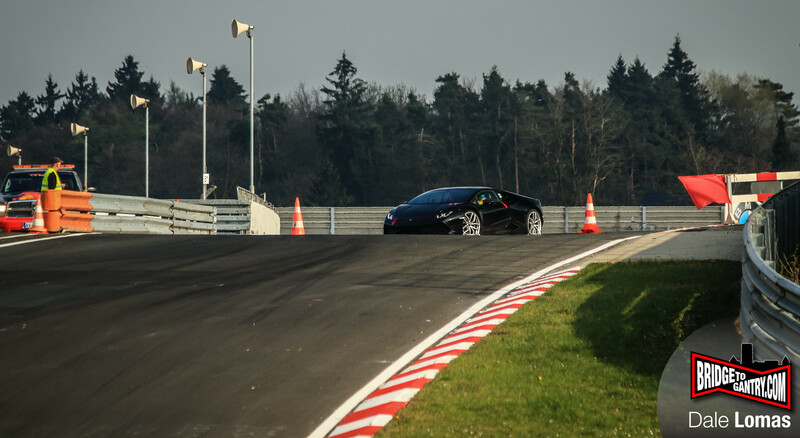 The first event that I saw being briefed about the speedlimits was the GranTurismo Nürburgring trackday last month. Transponders were handed out, and participants sternly warned about the consequences of speeding. Just been told that for today all trackday participants are subject to the race track speed limits. Go too fast and you’ll be expelled from the day. I’ve asked 3 times if they are pulling my leg… apparently not. At roughly 11.30 there was a red flag. With the reason being a car had travelled at 280 ish on the straight. So they temporarily (I reckon 25mins) stopped all running. For everyone. After a few minutes the tannoy announced this had happened and shortly after we all set off again. 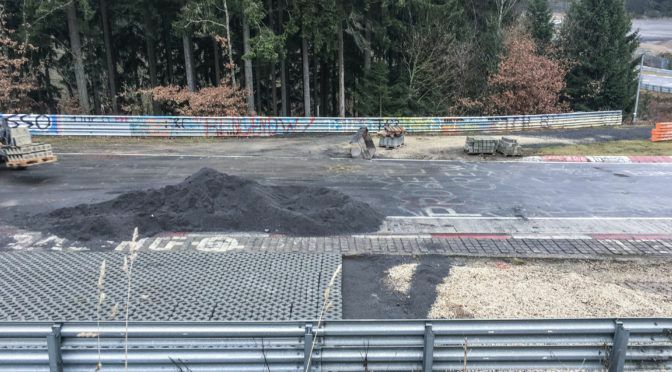 Industry testing at the Nürburgring also has its own speedlimits, specifically approaching the T13 pitlane, where cars can exit and enter the track through the pitlane, or sometimes (during hotlaps) just like you see below. I have a couple of friends who drive in i-pool, and though the secretive sessions are subject to a total secrecy contract, they did confirm that they’ve been “asked” to stick to the limits “for now”. Lamborghini Huracan exits the Nordschleife over half-way along the pitlane at T13. What are these NEW speedlimits? There are three new limits, introduced by the “roundtable” discussion with the DMSB. A 250kmh (155mph) limit from the Gantry to just after the Bridge, along the Döttinger Höhe. The only place in Germany with a “250kmh limit ends” sign! A 50kmh limit sign visible at the entry to T13 pitlane. Then from Hocheichen to Flugplatz it’s a 200kmh (125mph) limit increasing to 250kmh (155mph) from Flugplatz all the way to the crest at Schwedenkreuz. Will this affect me on my next trackday or public day? Almost certainly not. I think the most important question is; do you have more than about 400hp/1000kg or 500hp available? Because without that kind of power-to-weight ratio, the first 200kmh limit is totally unbreakable. 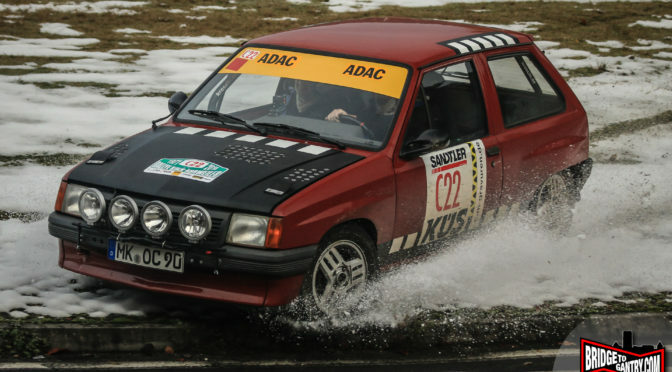 The 250kmh downhill into SX (Schwedenkreuz) or at the end of DH (Döttinger Höhe) is easier, but still not possible without a very fast car. And it was only the DH section that was subject to a radar check on Monday’s trackday. Yes. A radar speed trap. Radar guns? WTF? Will I be fined? Everybody makes their own ‘house rules’ in Germany. If you want to play in the ‘house’, you have to stick to them. 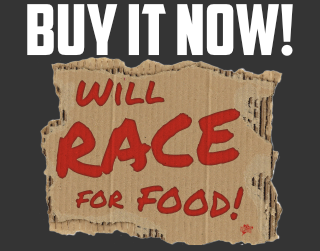 For DMSB racing events there are both monetary fines and time penalities. On Monday’s trackday the circuit owners (not the trackday operator) made the threat of a red flag stopping the session (which it did for over 25 minutes) and the promise that the next guy to break the limits would be ejected from the circuit. Why is a rule aimed at flat-bottomed GT3 racing cars now being applied to everybody? Simples. Because the track is now privately owned and operated, it’s being dragged out of the 20th century and into the 21st. Some might call it entering the ‘real world’, after being sheltered for so many decades under the umbrella of state ownership. In black-and-white terms, that any layman could understand, a car crashed and killed an innocent spectator. If the Nürburgring didn’t respond to this, would they still be in business next week? Would they still have their public liability insurance covered? Any home-brew aero car, or indeed official GT3 racing car, can enter a trackday. So of course the same rules will apply to the trackdays as the racing day. But, wait, what about all the other stupid stuff that makes the ‘Ring so dangerous? Erm, yeah. Best we don’t list all of that stuff right now, or they’ll probably try to ‘fix’ that too. My own 2¢ is that new speedlimits are fundamentally the wrong way to fix this problem. They satisfy the casual observer and the layman, but they’re a clumsy and ridiculous way to stop cars from killing spectators – which is the reason why they’ve been introduced, remember?